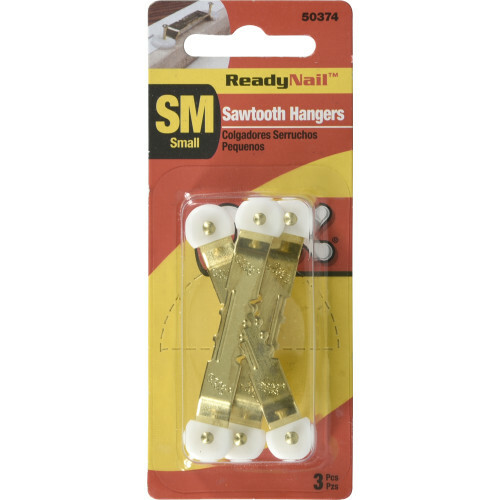 Hands-free OOK ReadyNail Sawtooth Picture Hanger has pre-inserted nails. All you have to do is place on the frame and hammer in desired location. 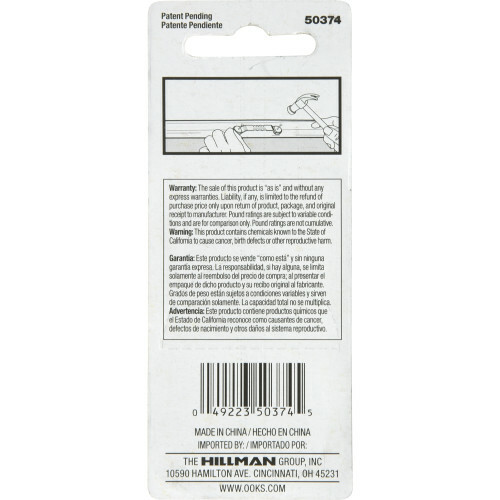 This hanger is great for wooden frames. 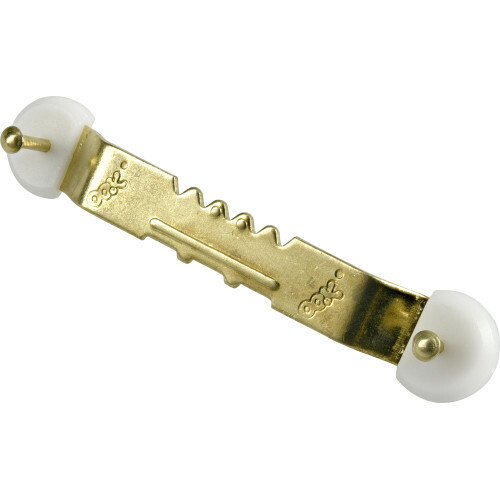 Available in large and small sawtooth hangers to fit your desired frame size. Gold finish so your frames are complete with a professional look. Tip: ensure that your are using the appropriate sized wall hanger (cleat, hook, nail, etc.) 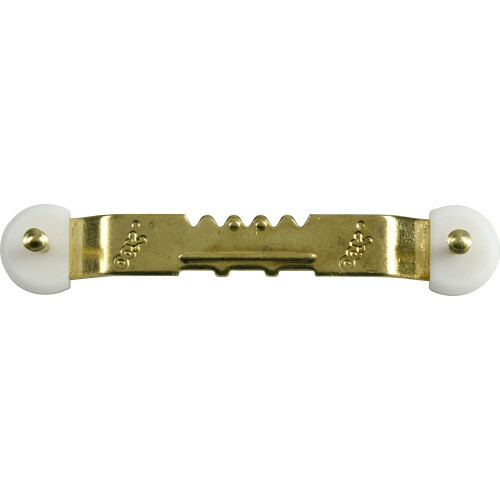 to support your frame's weight when using OOK's Sawtooth Picture Hanger.